The screenshot above is hosted and provided by vip-qualitysoft.com. Please contact them directly for any copyright infringement as we are not responsible for that content. 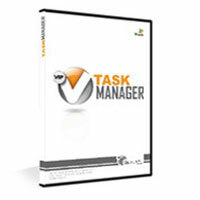 VIP Task Manager is a professional client/server software for task management. Authorized users can simultaneously access the common database through Local Network (LAN) and Low Speed Network to see, add, edit and delete their team or personal tasks, if they are granted appropriate permissions. It is the best solution for planning, scheduling, sharing, tracking and reporting tasks, appointments, projects, and any company activities in small and midsize business, government and non-government institutes, non-profit and educational organizations. - Charts panel - New! - Custom Fields - Advanced!